This weekend, we have a very unique experience happening here in Indianapolis! We have two shows that are actually banding together, and giving us a weekend of free awesomeness at the Wyndham West Hotel in Indianapolis! Yes, I said free awesomeness. 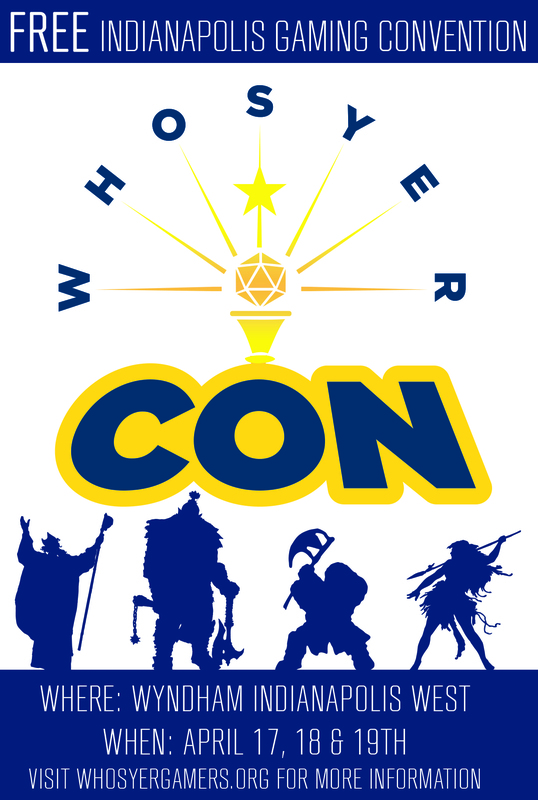 Starting Friday, we have the Who’s Yer Con gaming convention in their new location. I’m really looking forward to attending this year, as when I’ve attempted to do so in years passed, I’ve never even been able to find parking! 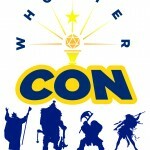 For those of you who aren’t familiar, Who’s Yer Con is a locally-ran gaming convention held by Who’s Yer Gamers, a local group dedicated to “educating the general public on the variety, availability, and benefits of hobby gaming.” This has become an increasingly popular con over the years, with a large gaming library, organized play, and affordable classes on Geekish crafts and hobbies. In addition, they will be having a free demo of the ever popular True Dungeon! This show will be running from Friday through Sunday, and for all the information you need, including a programming of events, and how to support this show so it can remain free for a majority of attendees, you can visit their website at this link! 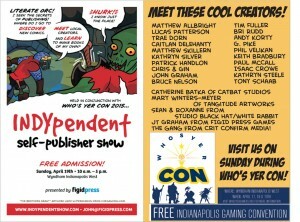 In addition to this show, on Sunday, we will be graced with our third INDYpendent Self-Publishing Show! This year, the show will be free for attendees! That’s right, more awesome local creative talent than you can shake a stick at, all free for you to see! Talk with creators, get tips and tricks, and buy some excellent entertainment that is produced by local creators, including the blog’s very own Bri Rudd, plus so many friends of the blog that I know I’ll forget someone! My friends, if you have ever been curious about creating your own work, or even the work of your neighbors here in Indiana, you have got to check the show out. Still not convinced? Check out my thoughts of the show that was held last November! For more information on this event, including a creator list, take a look at their website! Indianapolis is very lucky to have a pair of shows like this, and we are especially lucky that they are passionate about their respective subject matters, and they are striving to keep it as affordable as possible so anyone who is interested can attend! 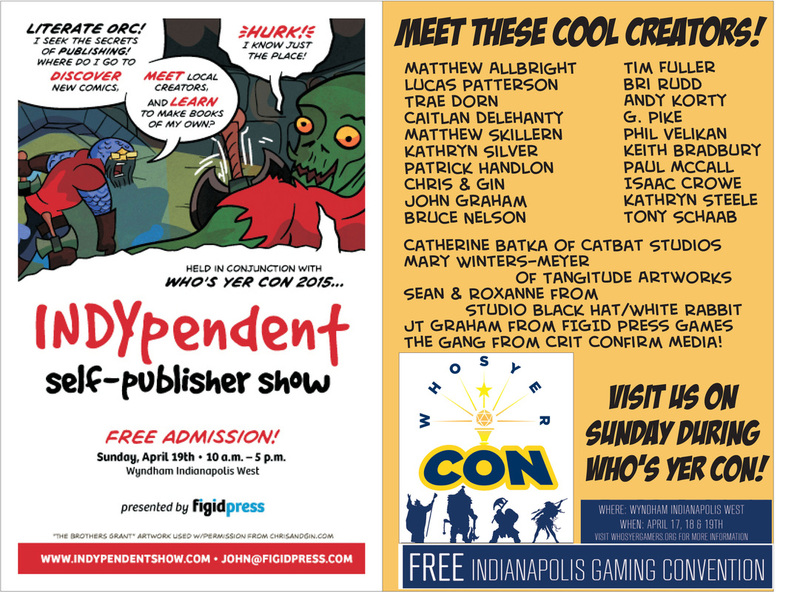 In case you’re curious, I will be at Who’s Yer Con on Saturday evening, as I have my nephew’s birthday party earlier in the day (yes, my nephews birthdays are one week apart), and I’ll be at the INDYpendent Show during the entire show on Sunday, from 10:00 AM to 5:00 PM.